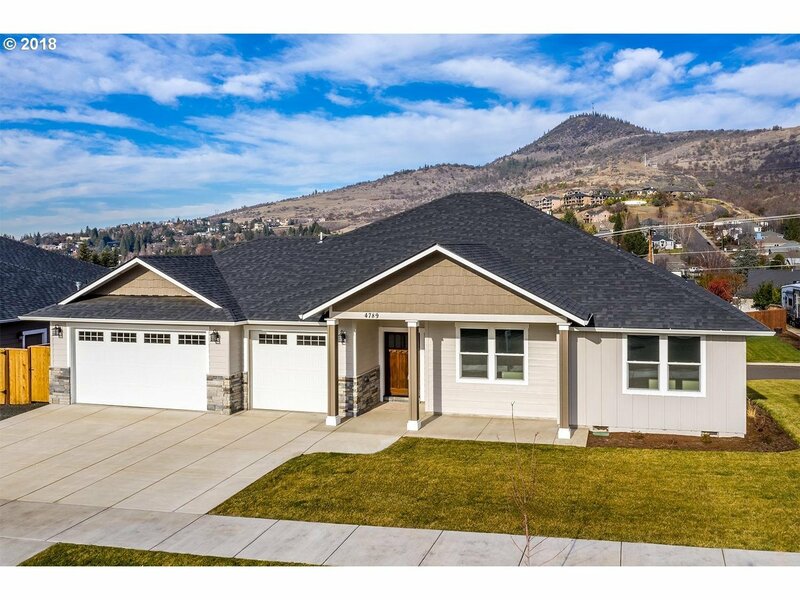 New Construction in a wonderful East Medford neighborhood! 4 bedroom, 2.5 bath home with 2354 sq ft, on a view lot. Spacious open island kitchen, dining and family room with laminate floors, granite countertop with tile backsplash, pantry and designer ss appliances. Large master bedroom with walk-in closet, granite counters and tiled floors and shower. Finished 3 car garage, gas fireplace with stone surround, and ceiling treatments.